If you own an iPod, you can save tons of songs for the enjoyment on the go. 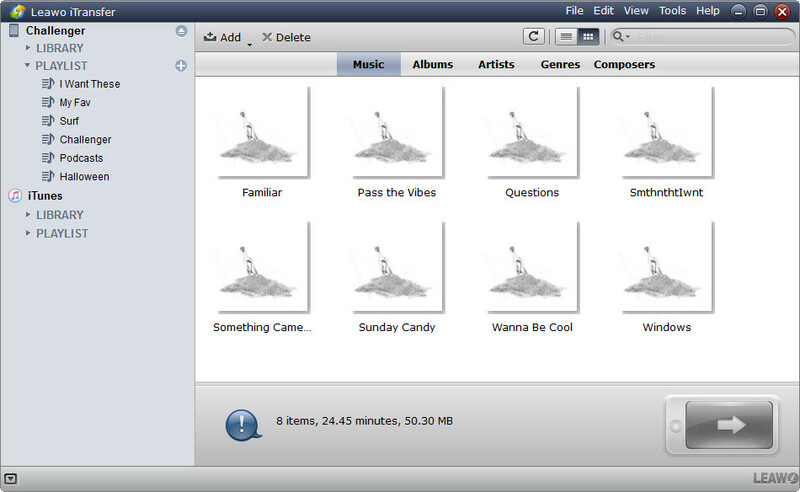 The songs in iPod can be saved in different playlists and you can select to listen in accordance with your current mood. The playlists in iPod are convenient for users to find the songs they want to listen, but switching from one playlist to another isn’t as convenient as on iPhone or iPad. Therefore, many iPod users want to delete playlist from iPod so that they don’t have to switch playlist when listening to music. In fact, people have 2 ways to delete playlist from iPod, and the following guidance will show you how to do that. If you are annoyed by using iTunes to manage music in your iPod, you may not want to use it delete playlist from iPod either. Fortunately, besides iTunes, you can use the third-party iPod transfer software to finish the task. Leawo iTransfer is regarded as the best among all the iPod transfer programs. 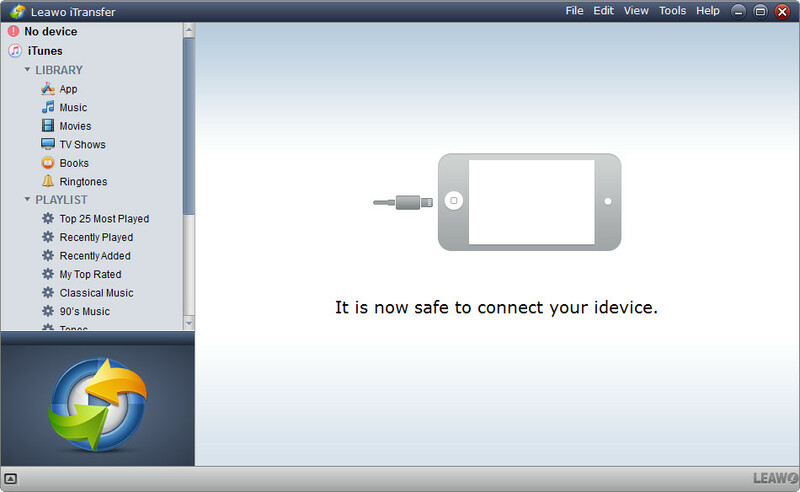 This software is used for transferring files among iOS devices, iTunes and computers, and it enables users to manage their iPod data without using iTunes. The following guidance will show you how to remove playlists from iPod, and you can free download the software to have a try. Step 1. Run Leawo iTransfer and connect iPod to computer with USB cable. The software will recognize your iPod and display its name. Step 2. Click the name of iPod in the left sidebar, and choose Playlists below. When you select one playlist, the songs in this playlist will show up in the right part. Step 3. Right-click the name of the playlist you want to delete, and choose Delete. The songs in this playlist won’t be deleted, so don’t worry about that. When Leawo iTransfer finishes deleting playlist from iPod, users can enjoy the songs in iPod without switching playlists. With Leawo iTransfer, you won’t lose any songs of the playlists after deleting the playlist, so even if you delete all playlists with Leawo iTransfer, you can still enjoy the songs with iPod, or in a much easier way. 1. Leawo iTransfer supports all iPod models, including: iPod touch, iPod Shuffle, iPod Nano, iPod Mini, iPod Classic. 2. 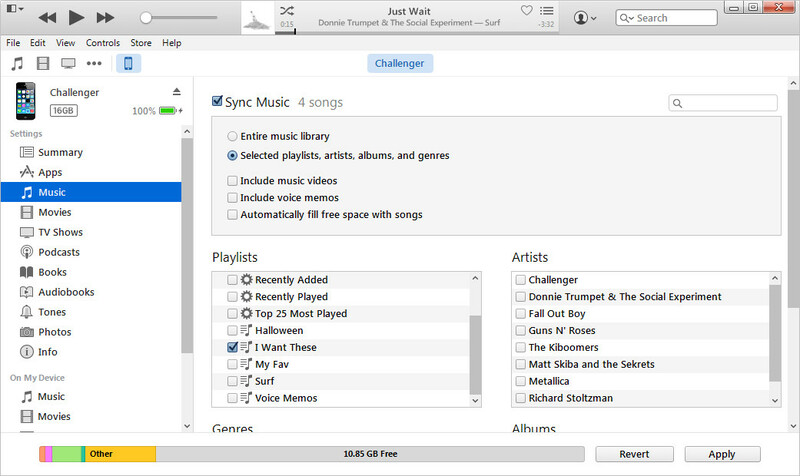 Excepting deleting playlist from iPod, it also helps with other data transfers of iOS devices, for example, you can transfer music from iPhone to computer with this software. If you don’t mind plugging iPod into computer, you can use iTunes to delete playlist from iPod. The application will recognize your iPod and allow you to manage your iPod files. When iTunes recognizes your iPod, you should click the name of iPod, and choose Music in the left sidebar under Settings. 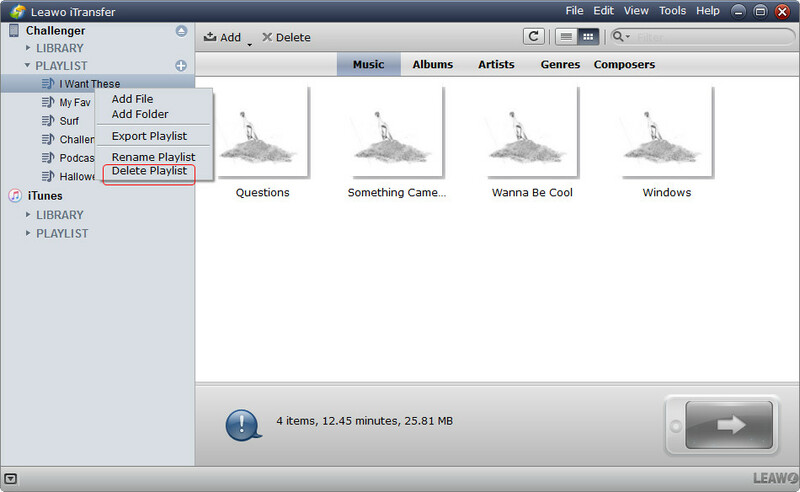 Then check Sync Music and choose Selected playlists, albums, artists, and genres. After that, you should select the playlists you need, and uncheck the playlists you don’t need, then click Sync at the right bottom to sync iPod with iTunes again. If you want the songs in that playlist, you can check the songs in the right part of the window. After syncing iPod with iTunes, you can have songs in your iPod without the playlist, which equals deleting playlist from iPod, but this method may take you a while as you may want to check the songs in every playlist to ensure that you won’t miss the songs you still need in your iPod. Therefore, Leawo iTransfer may be a better choice when you want to delete playlist from iPod.